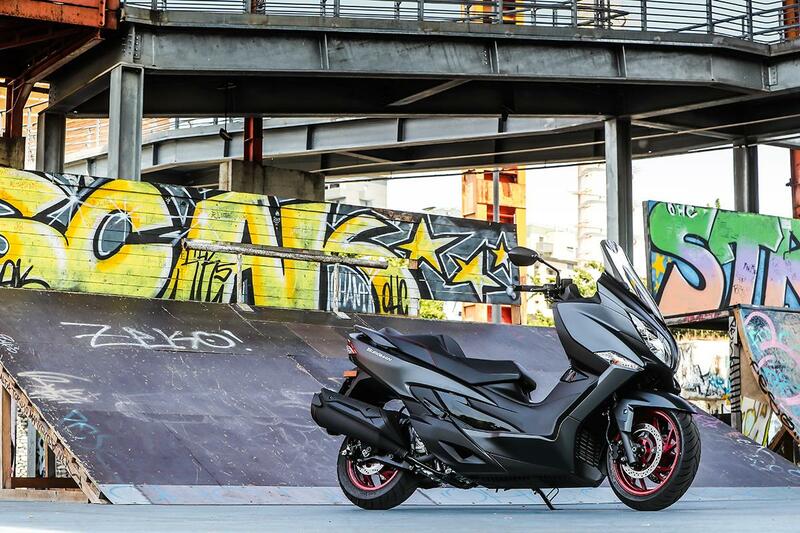 Suzuki have brought their Burgman 400 up to date for 2018. They have improved performance, reduced the overall weight by 7kg and it has a slimmer and sportier look. It’s nimbler around town and the revamped 400cc single cylinder engine is now Euro4 compliant and has improved low to mid-range torque. This ensures a swift and progressive ride on the open road. Rider comfort is improved and the seating position of the new 400 is lower, more roomy and inspires confidence. Seat height is increased to 755mm, been made narrower, has a 20mm thicker pad and there’s an adjustable lumber support. Newly shaped foot-boards make it easier to get feet down. 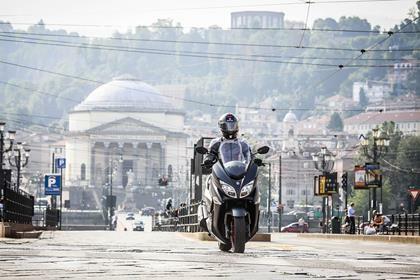 Suzuki have made the frame more rigid, slimmed down the bodywork, overall weight is reduced by 7kg and replaced the 14-inch front wheel with a 15-inch rim. It’s more stable at speed but still manoeuvrable around town. The seven-step preload adjustable shock, which is unique in its class, will suit any type of rider and is great when carrying a pillion. Brakes are efficient, without being grabby and the ABS system is lighter, which contributes to the overall weight reduction. Like other maxi-scooters it has a parking brake located on the dash. To keep up with Euro 4 regulations, the Burgman 400’s 30.5bhp, 400cc single-cylinder motor has a new catalytic converter and iridium spark plug. 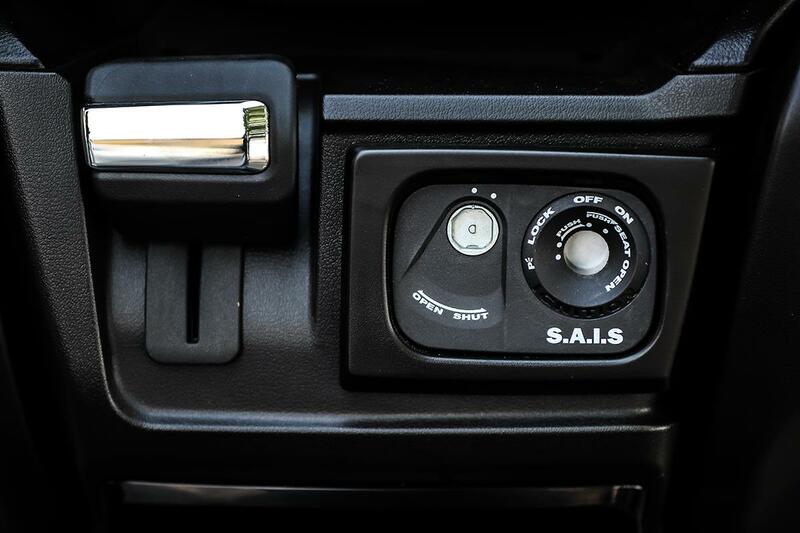 Throttle response is smooth and the power instant, which is useful when you are in need of an extra little punch. There’s an increase in low to mid-range torque, compared to its predecessor, so it’s quicker to get up to speed. The Burgman range has been around since 1998 so there should be no issues with reliability. However, previous models have suffered from problems with corrosion, so maintenance through winter months is key. It does a claimed 70mpg, which gives it a theoretical tank range of in excess of 200 miles. An Eco Drive indicator reminds you when you are getting a little throttle happy, this could help to improve the fuel economy further and save you some cash. 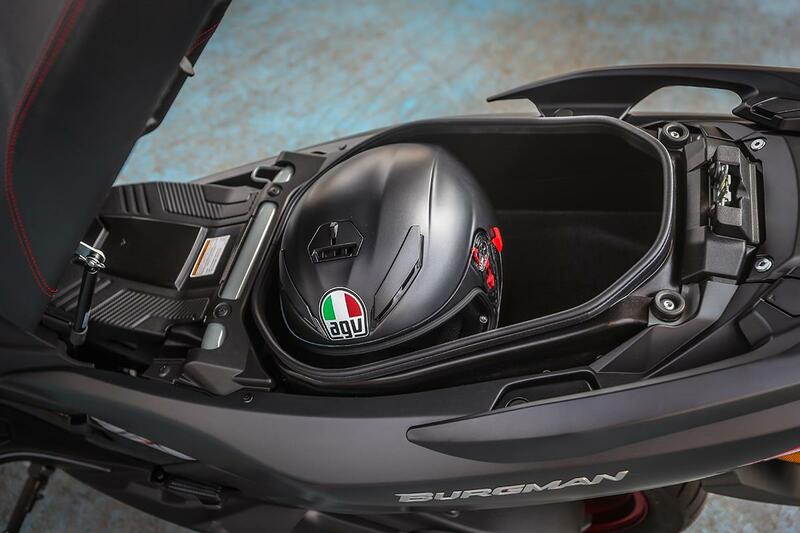 The Burgman 400s new slimmer rear end slightly compromises under-seat storage. There is enough space for a full faced lid and riding jacket. The two glove boxes will hold daily essentials and one has a 12v charging point. It is fitted with an immobliser and there is an entry point in the bodywork to fit a chain through and lock it up.  No owners have yet reviewed the SUZUKI BURGMAN 400 (2017-on).